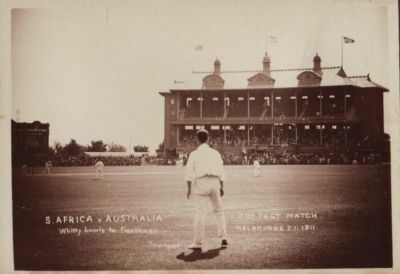 Small booklet produced privately as a memento of the Second Test Match between Australia and South Africa at Melbourne over New Year 1910/11. The booklet contains 6 sepia photographs, unpublished, approx. 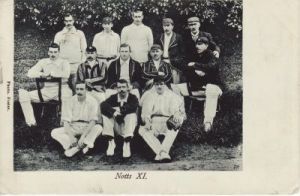 10cm x 8cm each, including the one of Victor on the boundary and the South Africans taking the field.